The developing crisis in Nigeria coincided with a massive Boko Haram uprising already underway in Borno State in northeast Nigeria. Boko Haram was acknowledged as one of the most brutal and vicious jihadist groups of the early 21st century, eclipsing even the Islamic State of Iraq and Syria (ISIS) in the number of people killed in terrorist attacks. The group was responsible for the kidnapping of 276 school girls in a raid in Chibok in April 2014, and they routinely employed women and children in their ranks to act as soldiers and terrorist bombers. In March 2015 Boko Haram openly declared their allegiance to ISIS, creating an alliance between two of the world's most deadliest terrorist groups. By the early months of 2016, however, it was widely believed that Boko Haram was on the run. A coalition made up of the nations of Chad, Nigeria, Cameroon and Niger launched a series of offensives into Boko Haram territory in 2015 and 2016, destroying militant strongholds, freeing hostages and driving the jihadist group underground. In December 2015 President Buhari boasted that Boko Haram was "technically defeated". 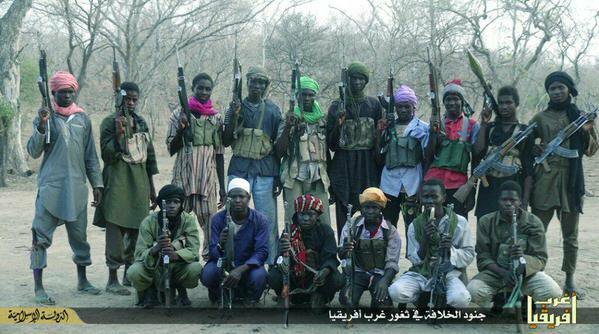 Members of the Islamic fundamentalist group Boko Haram pose for a photo for distribution on social media. The massive uprising in April 2016 took the African coalition completely by surprise. A series of devastating suicide attacks employing women and children suicide bombers ravaged the western African states, and these attacks occurred in conjunction with a ground offensive to retake Boko Haram holdings in the area around Lake Chad. 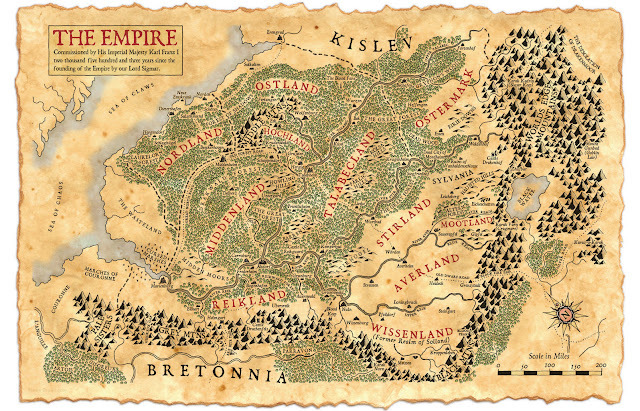 The coalition was taken by surprise by the viciousness and speed of the counter-offensive, which retook vast swathes of territory. It was during this counter-offensive that military observers from the UK noted the deployment of a new radical splinter group working side by side with Boko Haram and operating under the ISIS banner. This group appeared well-armed, organised and formidably effective, carrying out commando operations with tactical precision then disappearing without a trace. Identified as possible mercenaries by CIA and MI6 intelligence, these mysterious soldiers of fortune raided supply depots, carried out night attacks and cut coalition supply lines. This radical group pledged their allegiance to ISIS, but distinguished themselves with a new banner depicting a single white Arabic word on a field of black. The word was "sabbaha", or as translated into English - "exalt". 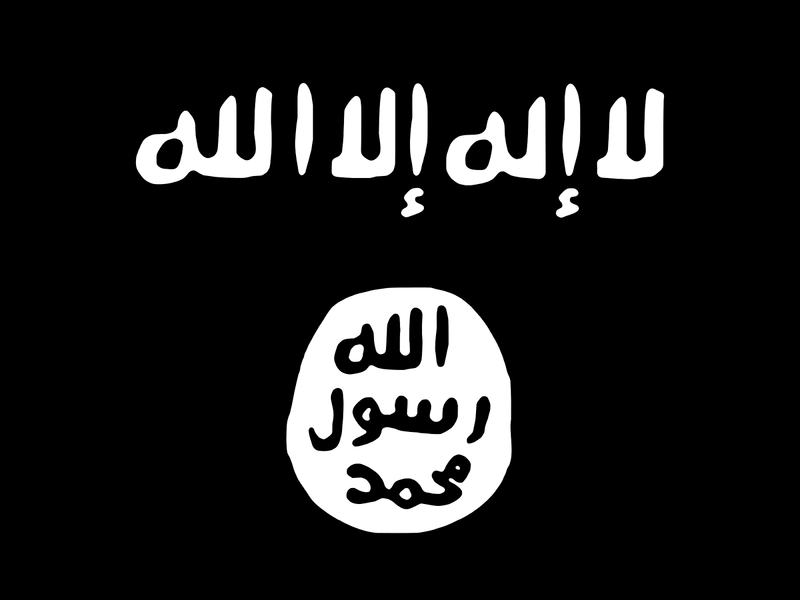 The Black Standard of the Islamic State of Iraq and Syria (ISIS). This standard was adopted by Boko Haram in March 2015 when the jihadist group pledged allegiance to ISIS. In an ironic twist of fate X-Com's general mandate to investigate the UFO phenomenon also allowed it to deploy the soldiers under its command virtually anywhere in the world. In practice any such deployment would be preceded by a formal request, but it opened the door for future clandestine operations without official government permission in the future. It had become the UN's first de facto standing army. It possessed no authority to intervene in internal disputes or conflicts between nation-states, but had carte blanche from the UN General Assembly to cross state lines when it came to incidents involving the extra-terrestrials. X-Com was notified of the developing crisis in Ogbomosho at 8 pm Japan Standard Time, three hours after Nigerian forces breached the UFO. Operators were hastily briefed on the deteriorating situation in Ogbomosho, and within the hour three Skyrangers were airborne and winging their way to Nigeria to assist the UN relief effort led by Major-General Peter Van Doorn. X-Com Force Commander Kiyofumi Iwata and Deputy Force Commander Colonel John Bradford could only listen in disbelief at the unfolding drama. X-Com had never encountered floaters or chryssalids before, and could offer no advice to the stunned Nigerian forces grappling with this new enemy. When a clearer picture of the new enemy's capabilities emerged Bradford realised that the strike force would not be sufficient. He immediately contacted his superiors in the US military and asked for NATO intervention. Unlike the UN, NATO already possessed a rapid reaction force called the Nato Response Force. In September 2014 this reaction force was supplemented by a spearhead force called the Very High Readiness Joint Task Force (VJTF), which could begin deploying anywhere in the world within 48 hours. The VJTF was created in response to the increasing tensions in the Ukraine, and this force was expanded further from a brigade of 5000 to 13000 to finally 40000 troops in June 2015. Given the speed of the chryssalid growth Bradford formally requested the intervention of the VJTF to assist in the containment of the organism. 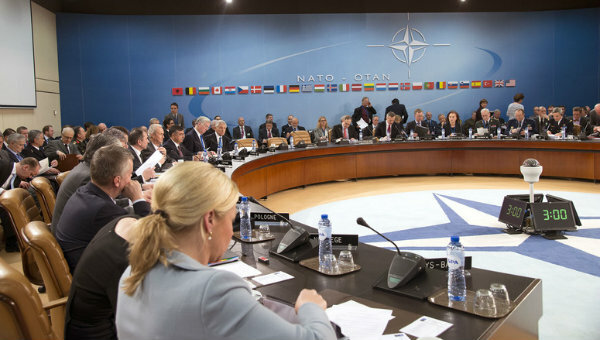 NATO members meet in an emergency meeting to discuss intervention options at NATO HQ in Brussels. 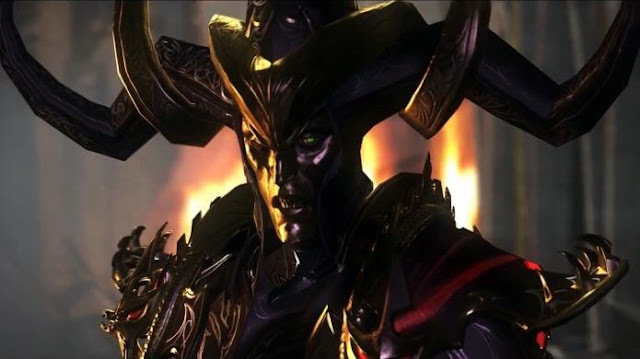 Bradford's request for assistance was met with incredulity, and his warnings about the chryssalid threat disregarded. In hindsight such scepticism was not without foundation - the chryssalid and its life cycle beggared belief, and even troops on the ground had problems accepting the reality of such a creature. NATO did pledge to assist African forces against the Boko Haram, judging this to be the more credible threat. They would be sadly mistaken. The problem facing X-Com was that the aliens' ability to deploy anywhere in the world far outstripped the world's ability to deploy troops fast enough to contain them. Nonetheless, Bradford did not sit on his heels while waiting for the NATO response. He took steps to mobilise the remainder of the X-Com brigade on the same night the strike force took off for Ogbomosho. General Iwata also formally asked for the assistance and intervention of Japan Ground Self-Defence Force units, but Prime Minister Abe, wary of the political backlash, reluctantly refused. Article 9 of the American-written Japanese Constitution still forbade the use of force except in self-defence, and while Abe's cabinet had passed a bill allowing for a more flexible interpretation of "self-defence", Abe did not want to risk inflaming public opinion in Japan. A very strong and pervasive pacifist tradition had taken root in Japan after their total defeat in the Second World War, and this tradition hampered US and Japanese efforts to re-build Japan as an active military power in the region. The Japanese were quite content to rest behind the shield of the US Seventh Fleet, and wielded their power through indirect means such as economic contributions, diplomacy and logistical support. Abe sensed that the Japanese public was not ready for the kind of direct military action required in Ogbomosho. Nonetheless, he did everything he could up to that point by directing the Japan Air Self Defence Force to assist in the transportation of the X-Com brigade to Nigeria. He also contacted his counterparts in India and Egypt, and arranged for the use of airfields in which the C-1 transports could refuel. Finally the Diet (the Japanese Parliament) would authorise the donation of 2 billion yen to set up a disaster fund for Nigeria after the crisis. All of this was cold comfort to Iwata and Bradford, both of whom were beginning to intuit the magnitude of the disaster facing the Nigerians. The X-Com brigade was packed into C-1 transports shortly after the departure of the Skyrangers on 7 April 2016, and after two refuelling stops in India and Egypt, arrived in Ogbomosho late in the afternoon of 8 April 2016. In the end the forces trying to stave off the chryssalid breakout in Ogbomosho would amount to the soldiers of the Nigerian 2nd Division under Major-General LC Ilo, the UN brigade under Major-General Peter Van Doorn, and the X-Com brigade from Tanegashima under Colonel Bradford. 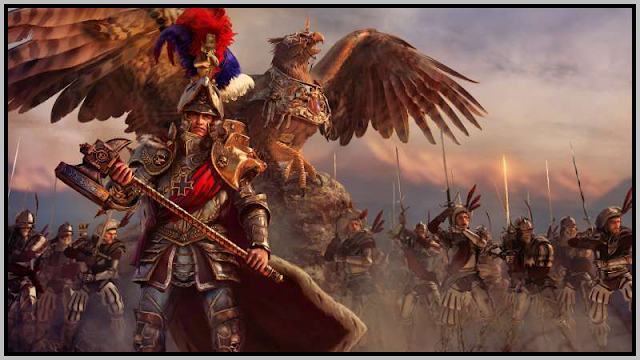 20000 soldiers, arriving in detail and composed of polyglot units speaking different languages and hailing from different cultures, would face off against a fast, armoured and deadly enemy that numbered perhaps 5000-10000 on the night of 7 April 2016, and over half a million on 8 April 2016.